PAOLI, Ind. 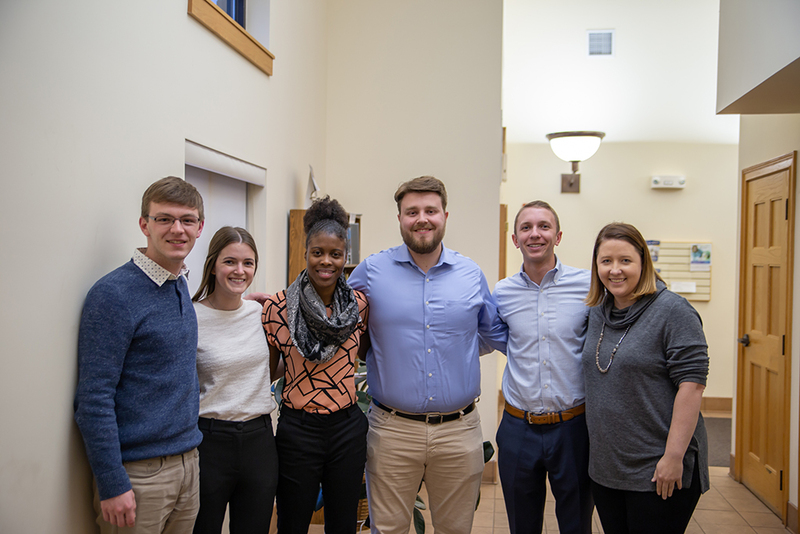 — Four representatives from clinical assistant professor Bree Josefy’s graduate field consulting class stood before an audience of Paoli residents to present the Orange County Solar Initiative on December 5 at the public library. 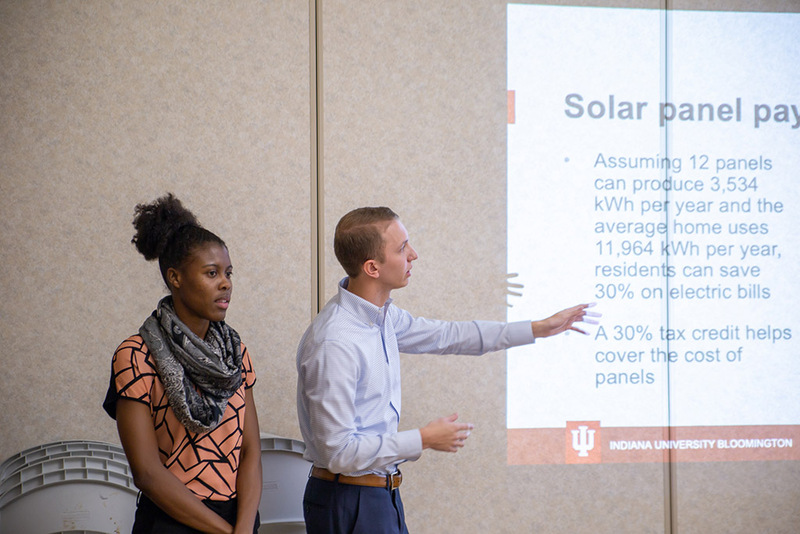 The discussion, a culmination of a semester-long partnership between the Kelley School of Business and the IU Center for Rural Engagement’s Sustaining Hoosier Communities (SHC) program, stressed the rewards of investing in solar energy by joining a local solar co-op. From the Lost River Market and Deli in Paoli to a community recycling center, green cooperatives in Orange County have a promising track record. 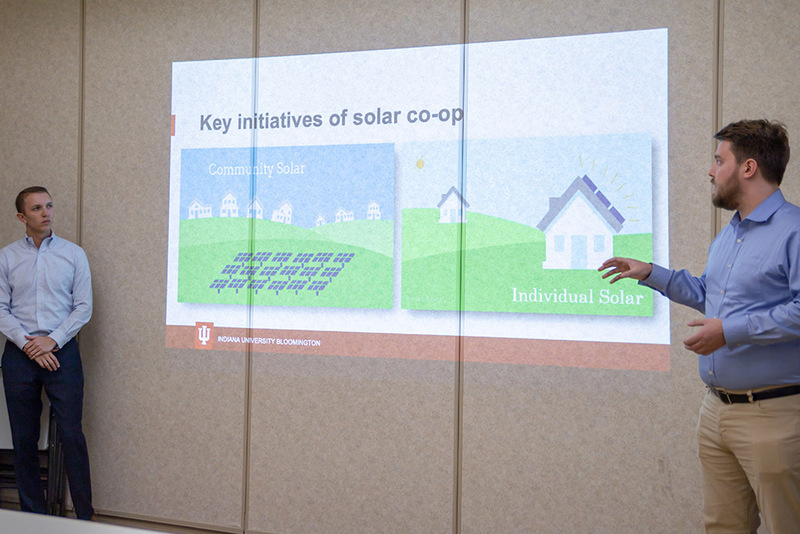 And the success of these recent co-ops—or organizations that return their profits back into a shared financial pool—has indicated to the IU team that this small county could stand to benefit from a solar co-op. Once home to herds of buffalo, Orange County still displays its rural roots today. Encompassed by the Hoosier National Forest and the site of various Amish settlements, the county currently has a population around 19,400, putting it 74th out of 94 Indiana counties in that regard. It also ranks 84th for median household income, at $10,876 below average for the state of Indiana, according to the U.S. Census Bureau. While Orange County is less populated and less affluent than other Indiana counties, SHC community partner Samuel Kinsey believed a solar co-op could bring residents together and help them save on their energy bills. 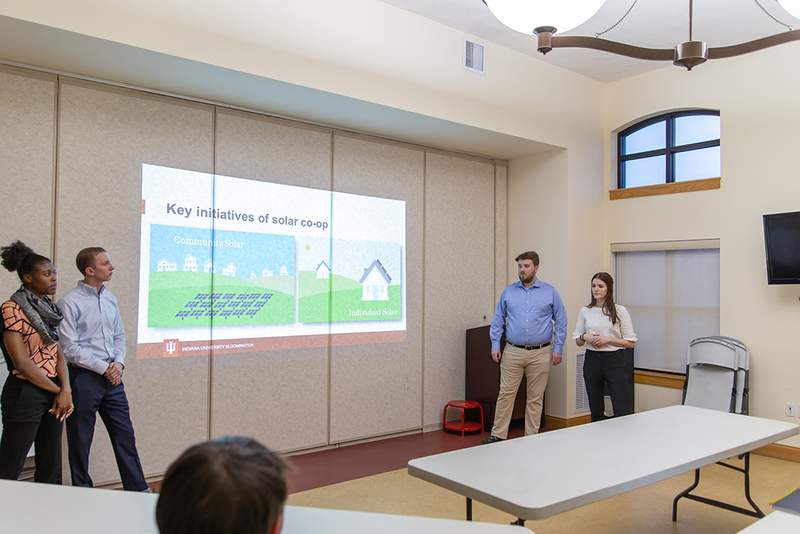 Following Kinsey’s recommendation, the IU consulting team developed the blueprint for an Orange County solar co-op using feedback from Paoli residents, which they gleaned from visits in October and November. A member of the four-student IU team investigating solar power options for Paoli, Josh Palan said the goal in developing the co-op is to better inform residents, businesses, and government entities alike about affordable energy-saving strategies like solar panel group-purchasing arrangements (GPAs) and community solar arrays, depending on their needs. “When everyone else sees these panels on someone’s home or business, they get curious about the benefits: Why did you get them? Is it financially worth it? All of that information can generate more interest and competition in a fun way,” Palan said. According to Nick Fabianski, who researched the average benefits for households, installing just twelve solar panels atop your home could cut down energy bills by 30%. What’s more, each participating household in this initiative could expect to see their home value increase around $9,000 and significantly cut down their carbon footprint, virtually erasing emissions from the air. But alone, the initial investment of around $12,000 can be daunting. Enter GPAs—or group purchasing agreements—and the cost drops. “If you can get thirty people on board to join the agreement, that will significantly reduce the investment cost,” Fabianski said. If you can get thirty people on board to join the agreement, that will significantly reduce the investment cost. 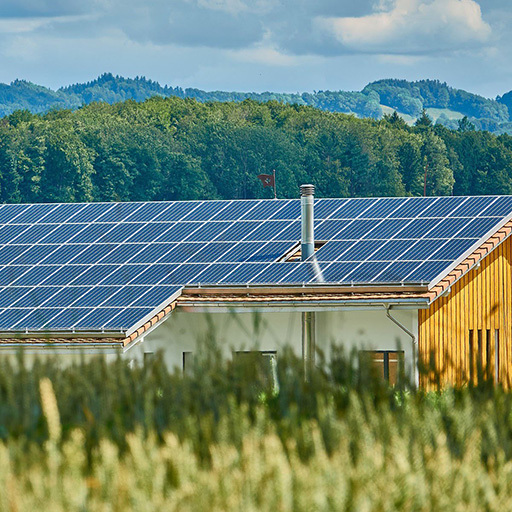 Signing on to a GPA through the co-op could also ease the headache that comes with evaluating bids from different solar-power installers, Fabianski noted, and a sliding income scale would further help mitigate cost for those who couldn’t immediately afford it. A less expensive, more scalable option presented by team member Trisana Fairweather was the use of community solar arrays. The audience laughed. Fairweather was referring to the 4,000 solar panels off of State Road 37 in Mitchell, Indiana, which are estimated to power 150 homes. “Community solar arrays are not located on each individual rooftop, but instead based somewhere in the community where they are shared among many people,” Fairweather said. In this kind of system, electricity produced in the solar field gets translated into credits on your monthly energy bill. In other words, neighborhoods can benefit from solar energy without individually breaking the bank. And members don’t have to be technologically savvy, or make home improvements themselves: it’s all included in the deal. “You aren’t responsible for maintaining or repairing the panels and you don’t have to worry about getting your house or roof ready for the panels,” Fairweather said. Standing out as a key player in solar arrays for the IU team during their background research was Orange County REMC’s “My Solar” program, student Maggie Zeillmann said. She added that anyone whose residence or building lies on REMC gridlines is eligible to apply for a share of the electricity produced by the solar array in Mitchell. 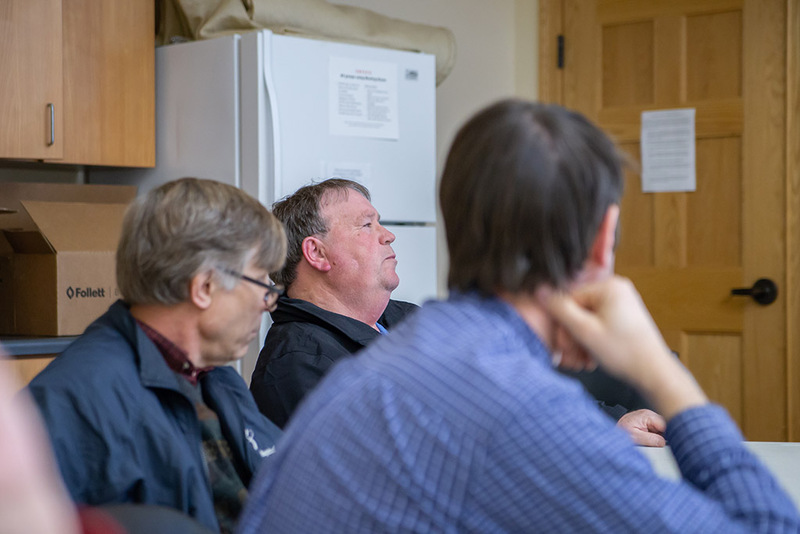 “My Solar is a good opportunity for people who might want to be involved with solar, but can’t really think about the investment of $12,000 quite yet,” Zeillmann said. My Solar is a good opportunity for people who might want to be involved with solar, but can’t really think about the investment of $12,000 quite yet. 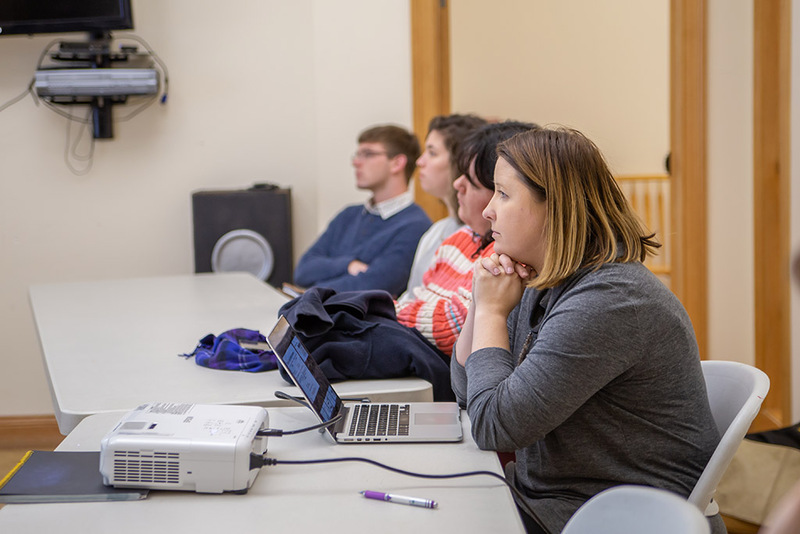 As far as next steps, the students said the hope for their proposed co-op is to continue recruiting residents and businesses alike, and build a website with the help of the IU Center for Rural Engagement. Palan said that steering businesses and governmental agencies towards group-purchasing agreements is particularly important for the group’s survival. “They have more financial flexibility, and that’s highly beneficial because they tend to be able to afford more panels at once, and members receive better discounts. There’s a lot of incentive there,” Palan said.